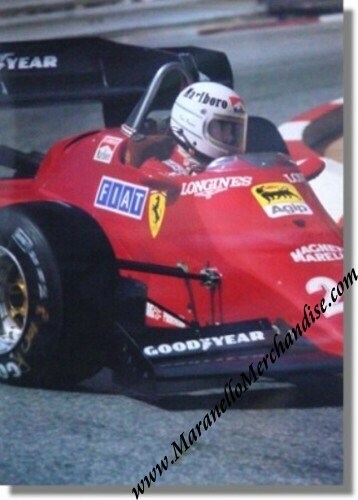 Ferrari 1984 F1 Rene Arnoux Poster. It measures approximately 70 x 100 cm or 27 x 40 inches. Ferrari Print Number 321/84 10M/8/84 issued in 1984, printed in August 1984 by Arbe, Modena, Italy. Will be shipped rolled in a sturdy tube.